Nonsense is becoming the new truth, with correctness disregarded as dishonesty. 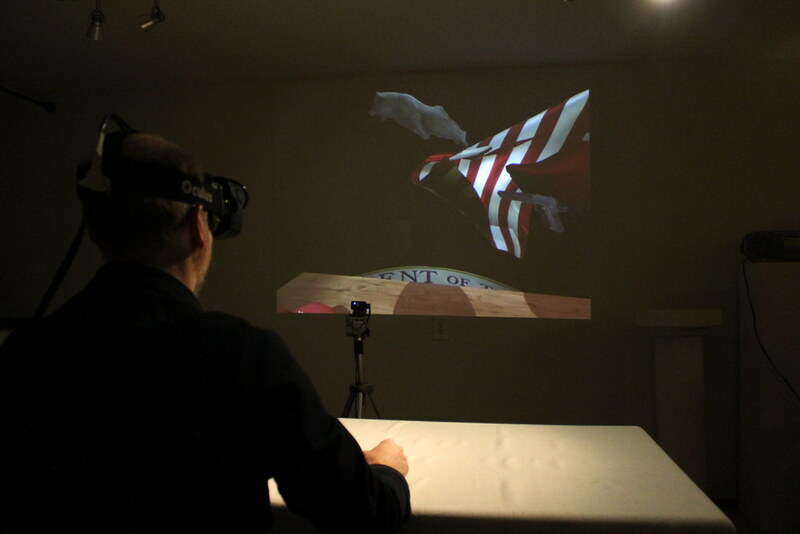 Disinformation mixes with our core values, weightless in the air. We reach out seeking the truth, only to have accountability slip aside, dissolving between our fingertips in a campaign against logic itself. 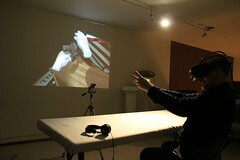 Fingers point away from facts towards fictions, treating our tools as toys on the world stage. 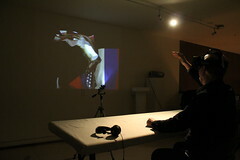 Ignorance and denial reign supreme as we place our trust in a reckless set of hands. 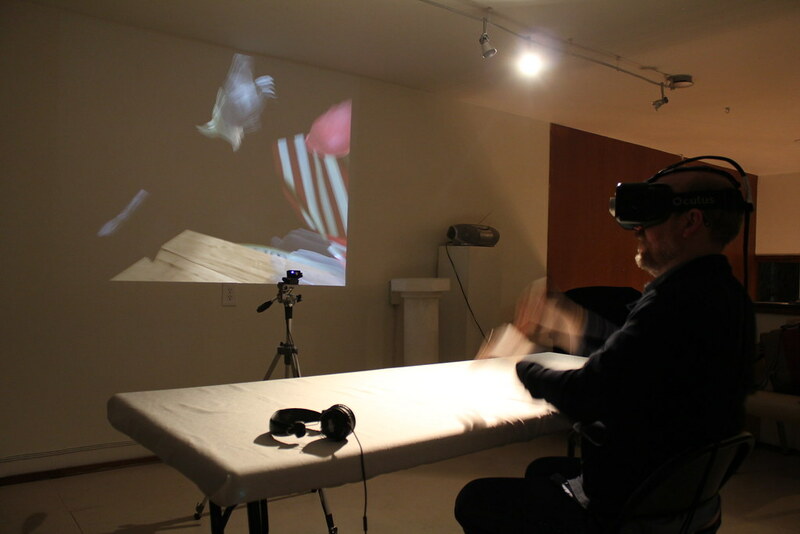 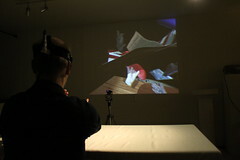 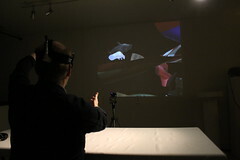 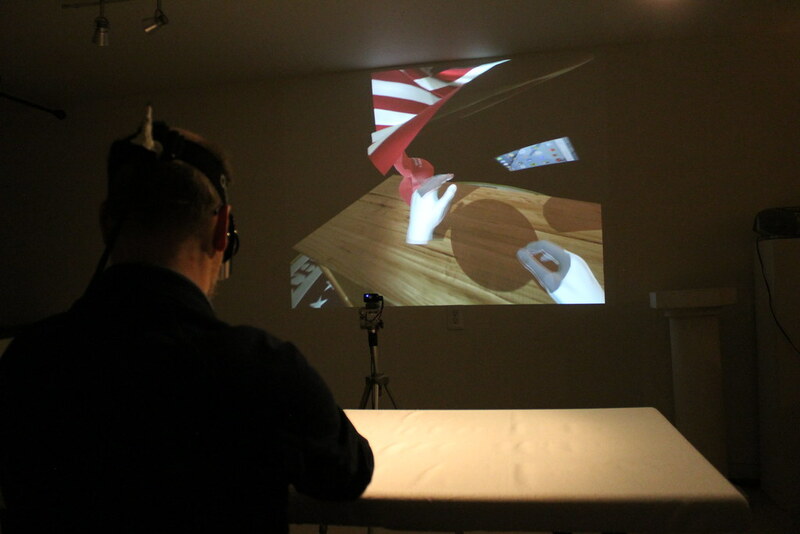 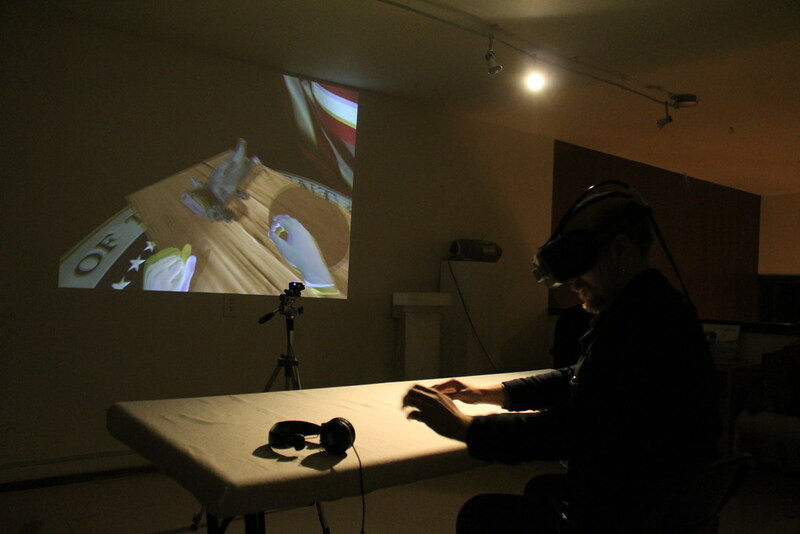 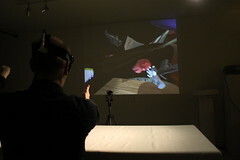 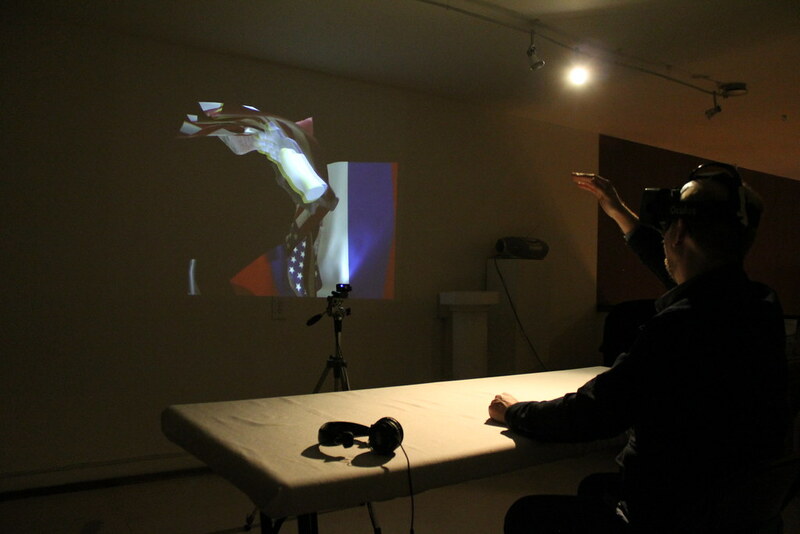 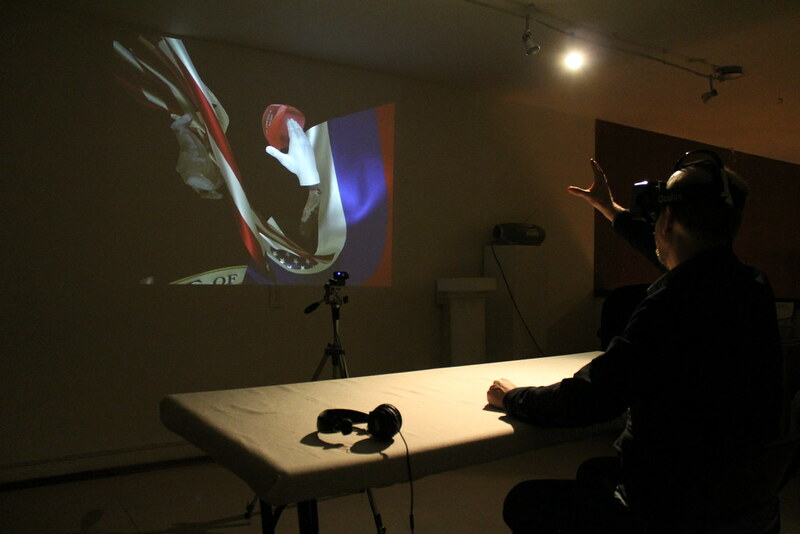 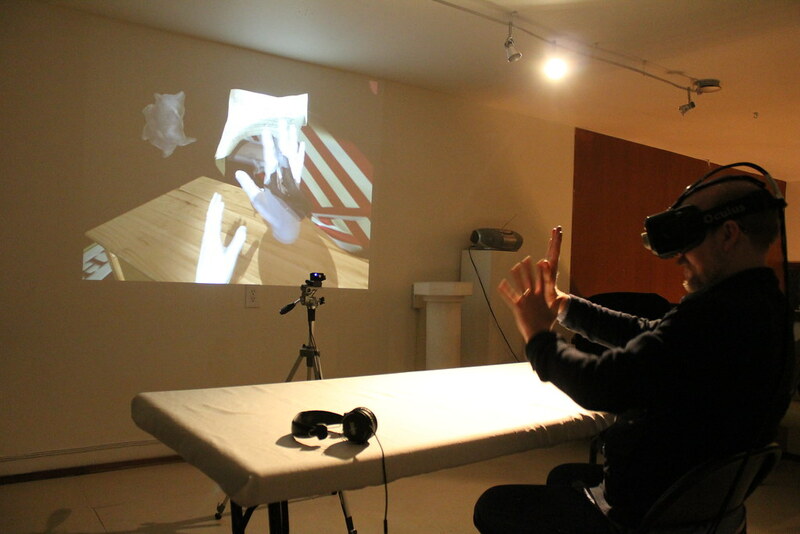 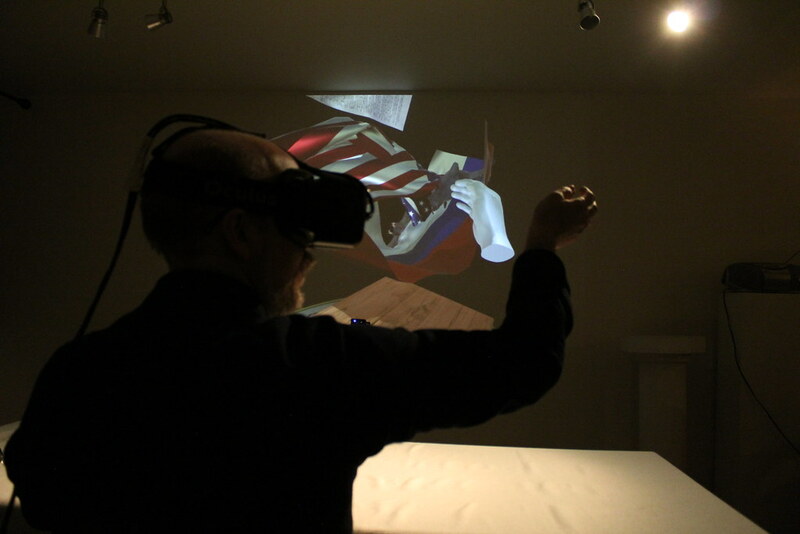 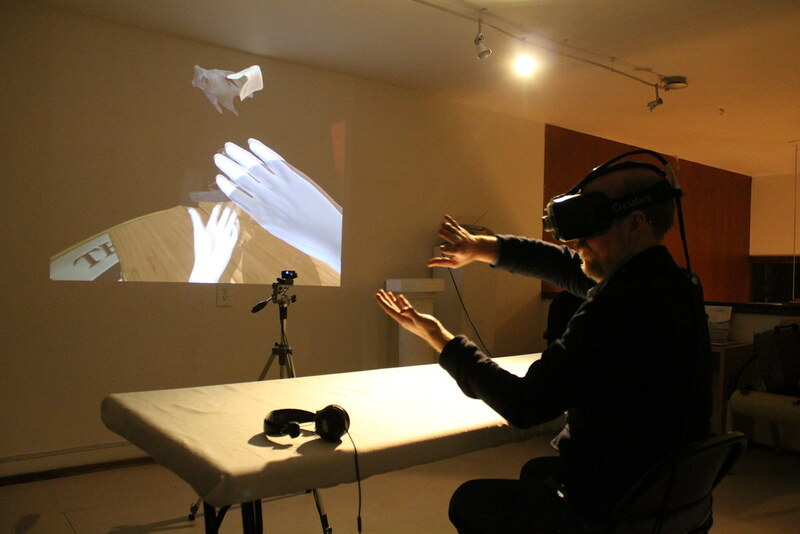 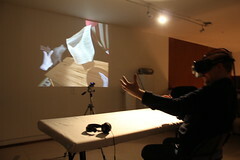 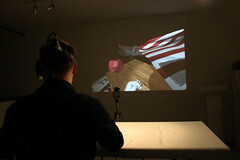 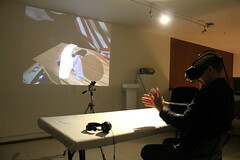 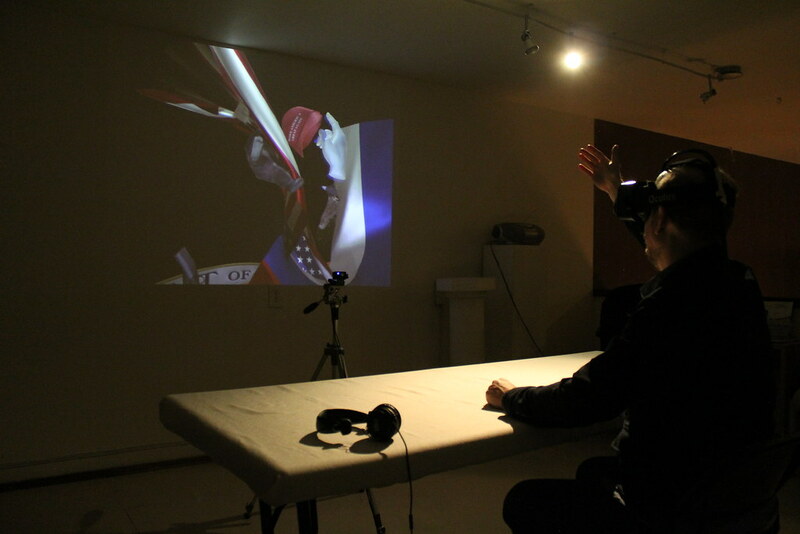 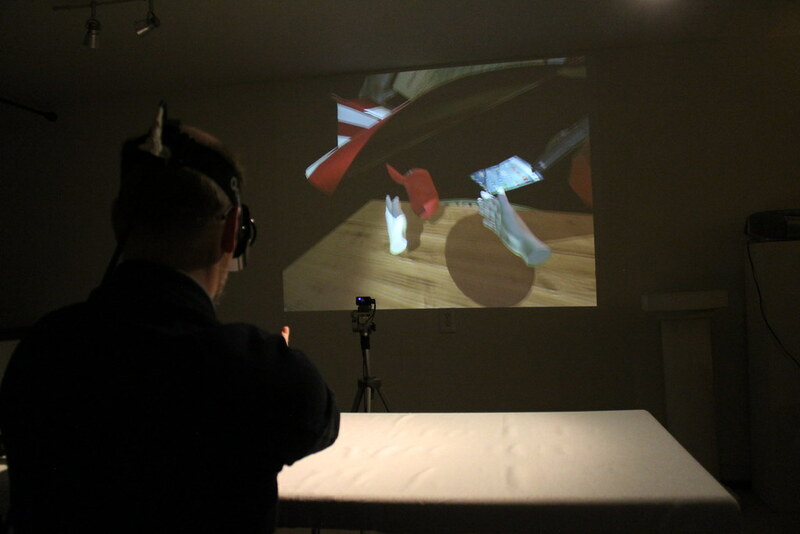 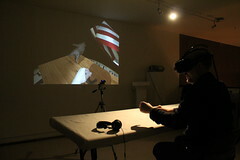 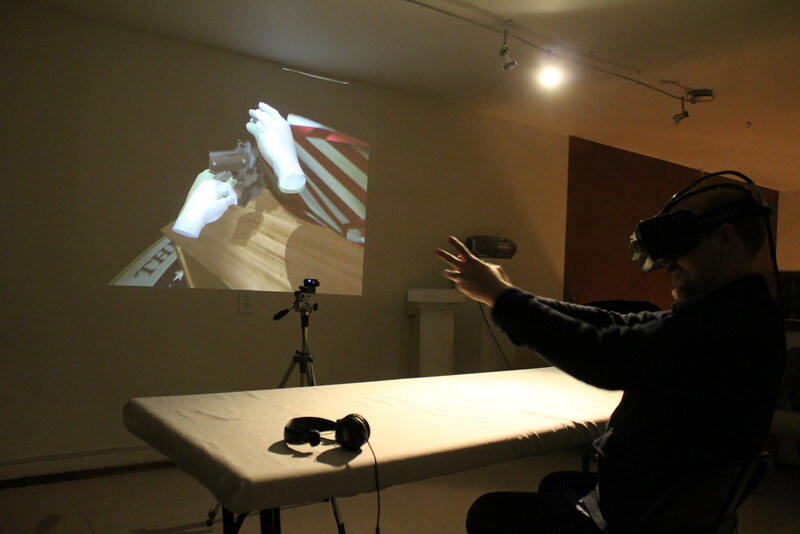 Hokum Bunkum is a virtual reality art installation using the Oculus Rift and the Leap Motion. 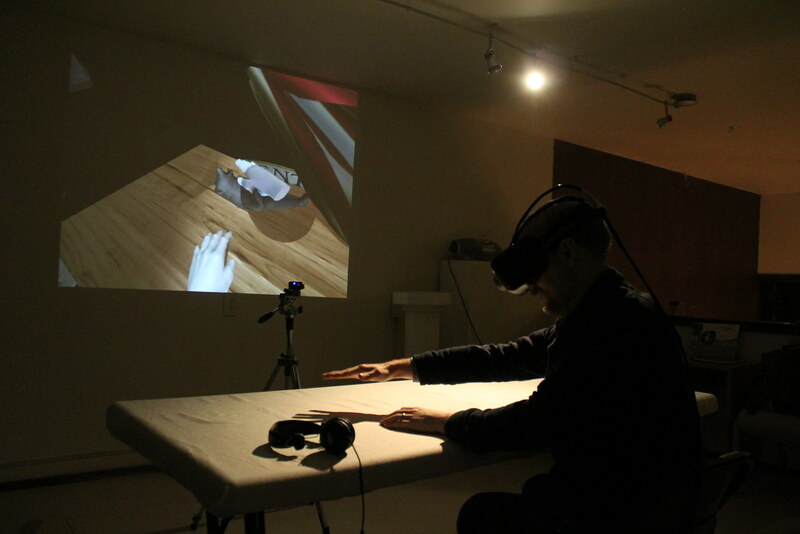 It has a 1:1 correspondence between the virtual representation of the table in the scene and the physical table within the room.